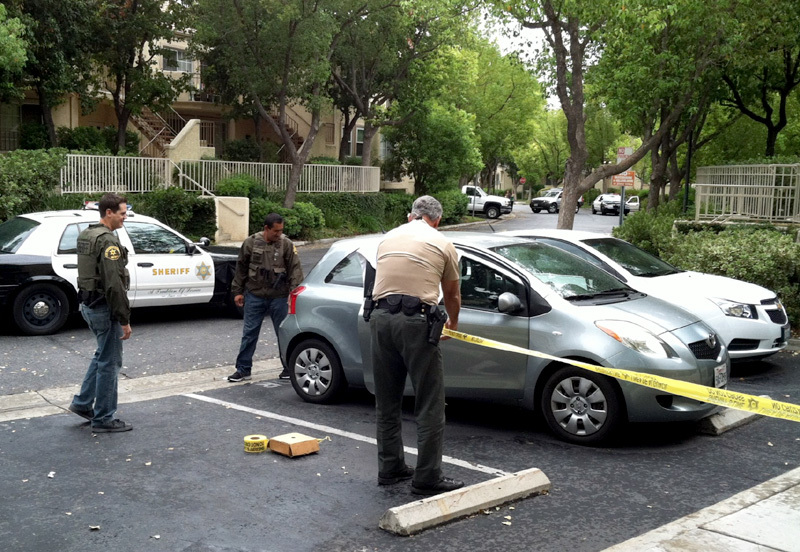 [LASD] – An alert resident called the Santa Clarita Sheriff’s Station on Wednesday at approximately 11:40 a.m. The resident stated he saw three males, one of whom was walking with a television. The resident stated he saw the at least one of the males on the balcony of his neighbor’s residence. The resident relayed a description of the three males and deputies quickly responded to the 24100 block of Del Monte Drive in the Valencia area. Patrol deputies, along with deputies from Santa Clarita Sheriff’s Station Crime Impact Team (CIT) and the Crime Prevention Unit (CPU), responded to the area and were able to locate and detain the three males. After a thorough investigation it was determined the three males were involved in this incident. The three males were arrested for residential burglary and conspiracy to commit burglary. This investigation is still on-going, and the names of the three male suspects are not yet being released. This is another example of a proactive, alert resident calling to report suspicious activity in his area. We can only assume the suspects were not Caucasian, Latino nor Asian since the politically correct media used their euphemism of “men”. I made an observation about the politically correct media’s use of the use “men” when referring to criminals who are black which does a disservice to the African American community. The comment was never posted. Let’s see if this one makes it.